You can access all the past editions of The Daily Planet on the green Category bar on the top of each page under the heading PlanetPOV AND in Speakers’ Corner. Politically, the number of cuts is nothing compared to the controversial amendments attached to the House-passed bill. Clearly, they are the biggest hurdles to getting a deal. The right and the left are pressing Congress on various amendments, most notably on defunding the healthcare reform bill and Planned Parenthood. The White House and Democratic leaders have said those riders are dealbreakers. If a deal is reached, the left and the right won’t like it and the tension will test party unity. Last week, eyebrows on Capitol Hill were raised when House Majority Leader Eric Cantor (R-Va.) ruled out another short-term continuing resolution while Speaker John Boehner (R-Ohio) kept the option on the table. Minority Leader Nancy Pelosi (D-Calif.) last month voted against a two-week stop-gap spending bill while Minority Whip Steny Hoyer (D-Md.) backed it. That dynamic could be in play again, but the media’s attention will be on the Republican side of the aisle, specifically on: Will Tea Party lawmakers in the House and Senate break from their leaders on a grand bargain? Vice President Joe Biden said the parties have agreed to cutting $33 billion, though Boehner says there is no deal whatsoever. Some expect that number to increase, but nowhere near the $61 billion called for in the House-passed bill. When Biden last week announced Democrats and Republicans had coalesced behind the same number, he cited $73 billion in cuts. But that figure was in comparison to Obama’s fiscal 2011 budget request, which was never enacted. The media quickly translated $73 billion into $33 billion of actual cuts. More confusion will be on tap as both parties look to appease their respective bases. For example, at some point, Republican leaders will have to communicate that the final fiscal 2011 budget bill will not defund Obama’s healthcare law. How they choose to communicate that is loaded with political landmines. In the mid-1990s, the Clinton administration issued guidance to government agencies on a possible shutdown. President Clinton’s administration was more willing to shutter the government than President Obama. But agencies will soon need some help on defining which employees are “essential,” especially because this would be the first government shutdown after the 9-11 terrorist attacks. Democrats and Republicans have been seeking leverage every way they can over the past couple of months. That won’t stop this week. Initially, the GOP had the leverage advantage, but the pendulum has swung to the Democrats. After some shrewd decisions in February and the beginning of March, the House Republican move last week to pass its “force of law” bill – essentially seeking to freeze the Senate out of the process – backfired. Senate Republicans criticized it and 15 House Republicans voted against the measure on Friday. The new House Republican budget is scheduled to be released on Tuesday, and that’s no accident. Boehner and other leaders are already suggesting the fiscal 2011 budget is old news, making the case that the 2012 budget will take a gigantic bite out of the deficit. From a policy perspective, they have a good point, but urging conservatives to watch a coming attraction before the ending of the fiscal 2011 drama has played out may not work. Should there be a deal, House Republican leaders face a tough choice: Abide by their new 72-hour rule, which allows the public to read legislation before they are voted on, or waive the rule and quickly try to pass it. The former would allow GOP critics plenty of time to go on cable news channels. The latter may further infuriate Tea Party activists, who railed on the House Democratic majority’s decision to pass the massive healthcare reform and climate change bills without giving the public days to review them. Will Paul Ryan propose a tax hike on 90% of Americans to make tax cuts for the rich affordable? When trying to evaluate Paul Ryan’s proposed budget for 2012, ask yourself why it’s being unveiled this week, smack in the middle of the final 2011 negotiations, rather than being held until the deal on this year’s funding is finished. The answer, most think, is that it’s meant to make a compromise easier now by focusing the GOP’s attention on the prospect of passing much more hardline legislation later. And make no mistake: Ryan’s proposals are quite dramatic. FRONTLINE Video: Who’s fixing your plane? General Electric has reduced its federal taxes using a variety of strategies and loopholes built into the tax code. In the last 150 years, prospectors and energy companies have drilled as many as 12 million holes across the United States in search of oil and gas. Many of those holes were plugged after they dried up. But hundreds of thousands were simply abandoned and forgotten, often leaving no records of their existence. Government reports have warned for decades that abandoned wells can provide pathways for oil, gas or brine-laden water to contaminate groundwater supplies or to travel up to the surface. Abandoned wells have polluted the drinking water source for Fort Knox, Ky., and leaked oil into water wells in Ohio and Michigan. Similar problems have occurred in Texas, New York, Colorado and other states where drilling has occurred. Time‘s cover story “Could Shale Gas Power the World?” is all about how we’re going to get ourselves out of our current energy crisis by turning the Marcellus shale formation into a hydrocarbon war zone pockmarked with loud, noxious natural gas wells. The reserves in question happen to be underneath some of the most densely populated portions of America, including Pennsylvania and New York. Extracting the gas beneath this land requires fracking, which has been implicated as a threat to drinking water supplies and local air quality. Things are pretty bad around fracking wells already, but full exploitation of this resource on the scale proposed by the Time story would require increasing the number of wells in Pennsylvania alone by a couple orders of magnitude. And that’s probably going to happen, given the world’s insatiable thirst for cheap energy. Here’s an answer: Ever seen the opening credits of Bladerunner? House Republicans are planning to cut roughly $1 trillion over 10 years from Medicaid, the government health insurance program for the poor and disabled, as part of their fiscal 2012 budget, which they will unveil early next month, according to several GOP sources. With the federal deficit in their sights, Republicans are preparing a budget proposal that would reportedly trim $4 trillion in government spending over the next decade. How do they do it? Ending Medicare as we know it is a key part. Rep. Paul Ryan (R-WI), chairman of the House Budget Committee, is the man with the plan. Details are set to be released Tuesday. And those younger people would instead look for private insurance, approved by and subsidized by the government, when they become eligible for Medicare. Most folks call this kind of government payment a voucher. Although Ryan insisted on Fox News Sunday over the weekend it’s “premium support” — not a voucher. The distinction apparently being that the government money flows directly to an insurer, not the beneficiary. Ryan argues that competition among these insurers will drive down prices. That’s debatable, since Medicare already has very low overhead, and doesn’t have to turn a profit. But while the cost to seniors may not shrink, the cost to the government will grow more slowly than under the existing program. Although the level of expected federal spending and the uncertainty surrounding that spending would decline, enrollees’ spending for health care and the uncertainty surrounding that spending would increase. In other words, the risks for future spending increases get shifted to beneficiaries from the federal budget. — People 55 years and older don’t want to lose Medicare. — People 54 years and younger want to have Medicare some day. If a “divide and conquer” strategy succeeds in abolishing Medicare for people born after 1956, then what happens to this political economy? Over time you’ll have a growing set of private voucher firms lobbying for more people to lose Medicare and be put into the voucher pool. You’ll also have a declining set of people born before 1956 to object to Medicare abolition. And you’ll have an ever-growing pool of people born after 1956 who’ve been told that they’ll never benefit from Medicare no matter what happens, but who are being asked to pay the taxes that finance it. That doesn’t strike me as a remotely sustainable equilibrium. If you take Medicare and change it, you can phase those changes in over time. But you can’t introduce a radical discontinuity into the program and then promise everyone over a certain age that the discontinuity won’t impact them. Obviously some people will die before the change is universalized, but universalization is made all but inevitable by introducing the discontinuity. I’ll no doubt be writing a lot about the Republican plan to dismantle Medicare in the days ahead. But a quick thought now before I go off to listen to Bob Hall explain the high-unemployment, zero-rate trap (pdf). Here’s the thought: when it comes to controlling health care costs, there are a lot of role models out there — because everyone does better than the United States. There are government-provider systems like Britain’s NHS (or the Veterans Administration); there are single-payer systems; there are regulated competition systems. But what the GOP plans to offer is a plan that broadly resembles Medicare Advantage — a plan that not only failed to reduce costs, but actually ended up substantially increasing costs. Of course, it’s not really about saving money. And that’s the point. Descendents of Mexican immigrants in the U.S. may be making better socioeconomic progress than many studies indicate, according to research published in the April issue of The Journal of Labor Economics. In making the announcement, Eric Holder, US attorney-general, repeated his belief that federal courts are the best place to prosecute terrorism suspects but said the government’s hands “were tied” by Congress, which in December adopted restrictions on prosecuting Guantanamo prisoners in civilian courts. Holder said in late 2009 that Mohammed and four of his alleged co-conspirators would be tried in a federal civilian court in the heart of New York City. But the decision sparked concerns about security and giving the suspects full US legal rights. Obama failed to overcome the objections by opposition Republicans and some of his fellow Democrats in Congress to transferring some Guantanamo detainees to US prisons and trying Mohammed and others in federal courts. Captured in Pakistan in 2003 and sent to the Guantanamo detention facility in 2006, Mohammed confessed to being “responsible for the 9/11 Operation” in 2007. He said when he initially told the agents interrogating him that he did not know where Bin Laden was, he was tortured. Ahmed Khalfan Ghailani, the first Guantanamo detainee to be tried in a civilian court, was convicted in the fall of 2009, when he was found not guilty of all but one of the 286 charges against him in connection with the 1998 bombings of two US embassies in Africa. The White House on Monday threatened to veto legislation from House Republicans that would repeal net-neutrality regulations. In a statement of administration policy, the Office of Management and Budget (OMB) said the president’s advisers would recommend that he not sign a bill scrapping new Internet regulations from the Federal Communications Commission. “If the President is presented with a Resolution of Disapproval that would not safeguard the free and open Internet, his senior advisers would recommend that he veto the Resolution,” the statement said. Net neutrality was an Obama campaign promise. The House is preparing for a floor debate Tuesday on a measure from House Communications subcommittee Chairman Greg Walden (R-Ore.) that would block the FCC’s net neutrality effort. Last Thursday, tea party activists rallied on Capitol Hill to pressure Republican lawmakers to cut government spending. Crowd estimates ranged from “dozens” to “fewer than 200,” yet the event attracted dozens of reporters and significant media interest, producing hundreds of stories in local and national press. At today’s rally, which was ten times bigger than the tea party one, ThinkProgress spotted three reporters — none from mainstream publications. WaPo: Not just about money: Obama’s reelection launch reflects the need to rejuvenate his grass-roots army. But all anyone needs to do is read the short e-mail message and watch the two-minute video that Obama’s advisers e-mailed to supporters Monday. Five people are featured in the new Obama campaign video: Ed, an older white man from North Carolina; Gladys, a Hispanic woman from Nevada; Katherine, a white woman from Colorado; Mike, a 2012 first-time voter from New York; and Alice, an African American woman from Michigan. Geographically or demographically, they are the targets for Obama’s campaign. Without a huge turnout of minorities, another surge among voters younger than 30, and good margins among the minority of white voters who are in Obama’s coalition — particularly independents who defected between 2008 and 2010 — the president’s chances of winning could be compromised. Events might break in his favor, in which case reelection could be easier than it looks now. But no smart campaign prepares on the basis of best-case scenarios. Geographically, every state represented by the five people in the video is a battleground, with the exception of New York, a Democratic haven. Republicans might scoff at the idea that Obama can carry North Carolina again. Colorado and Nevada could be more difficult this time, as could states not represented in the video, such as Indiana and Virginia. But Obama’s team will not start the campaign with a constricted view of the electoral map. While Republicans are battling for their nomination, the Obama team will be building robust organizations in every one of those anticipated battleground states. It believed it could not wait longer to start that process. One of the requirements Obama established at the very start of his first run for the White House was that it would be bottom-up, not top-down — a reflection of the community organizer-turned-politician. · The President has launched his campaign to be reelected for a second term. · While the campaign gets off the ground, the President will be focused first and foremost on the important work the American people elected him to do. · Over the next year and a half, we will create a grassroots organization that’s more far-reaching, focused, and innovative than anything we’ve built before. · At its heart, that effort will be fueled by the energy and commitment of folks on the ground, community by community, neighborhood by neighborhood, house to house all around the country. o Taken the economy back from the brink of a depression and gotten the economy growing again, now creating more than 1.8 million private sector jobs. o Passed historic reform to expand health care and lower its costs, preventing insurance companies from discriminating against people with preexisting conditions. o Held financial companies accountable and put reforms in place to prevent another taxpayer bailout. o Cut taxes for the middle class and small businesses—the drivers of job creation. o Torn down the walls of discrimination to allow gay Americans to serve their country openly. o Ended combat in Iraq, bringing home 100,000 American troops. o Everyone who wants a job can find one. o Anyone with a good idea can turn it into a thriving business. o Our education system delivers results, and prepares all of our children to win the future. o We are out-innovating the rest of the world, and creating the jobs and industries of the future, including in clean energy. o Our government lives within its means so we can make investments in our future. · America is moving forward. We simply can’t afford to go back. · Winning the future is not a spectator sport. It’s something we have to fight for. We can’t protect the progress we’ve made — or make any more — if we fail to mobilize. That’s why we’re getting started now. · As the President continues to do the important work of the American people, we need to start building our grassroots movement right away so that we are ready for 2012. We don’t need leaders. We don’t need directives from above. We don’t need formal organizations. We don’t need to waste our time appealing to the Democratic Party or writing letters to the editor. We don’t need more diatribes on the Internet. We need to physically get into the public square and create a mass movement. We need you and a few of your neighbors to begin it. We need you to walk down to your Bank of America branch and protest. We need you to come to Union Square. And once you do that you begin to create a force these elites always desperately try to snuff out—resistance. For nearly forty years the American Legislative Exchange Council has been providing conservative legislators with the tools to undo the New Deal piece by piece. Now, in the Year of the Cold-Blooded Republican Governor, ALEC is achieving an unprecedented level of success. The Antikythera mechanism (main fragment). The world’s oldest astronomical calculator is famous for having intricate gear systems centuries ahead of their time. But new work shows the Antikythera mechanism used pure geometry, as well as flashy gears to track celestial bodies’ motion through the heaven. The device, a 2,000-year-old assemblage of gears and wheels that matched 19th century clocks in precision and complexity, was salvaged from a shipwreck off the Greek island of Antikythera in 1901. 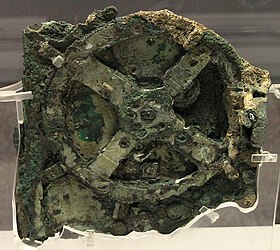 Called the Antikythera mechanism, the machine gracefully kept track of the day of the year, the positions of the Sun and the Moon, and perhaps the other planets. It also predicted eclipses and kept track of upcoming Olympic games. Most of the mechanism’s calculations were driven by a series of 37 interlocking dials, which may have been manipulated by a hand crank. The front of the mechanism had a clock-like face that denoted the calendar date in two concentric circles, one showing the signs of the Greek zodiac, and one carrying the Egyptian months of the year. Three hands denoting the date and the position of the Sun and the Moon moved through the zodiac and the months as the gears turned. The Supreme Court on Monday let stand an Arizona program that aids religious schools, saying in a 5-to-4 decision that the plaintiffs had no standing to challenge it. The program itself is novel and complicated, and allowing it to go forward may be of no particular moment. But by closing the courthouse door to some kinds of suits that claim violations of the First Amendment’s ban on government establishment of religion, the court’s ruling in the case may be quite consequential. The decision divided the court along the usual ideological lines, with the three other more liberal members — Justices Ruth Bader Ginsburg, Stephen G. Breyer and Sonia Sotomayor — joining the dissent. Labor unions and civil rights groups, joined by many other liberal organizations, are holding hundreds of rallies and teach-ins nationwide on Monday to defend collective bargaining and to tie it to the cause that the Rev. Dr. Martin Luther King was fighting for in the days before his death exactly 43 years ago. The sponsors of the “We Are One” rallies being held in 50 states repeatedly note that when Dr. King was assassinated on April 4, 1968, in Memphis, he was planning to march with 1,300 striking sanitation workers. The rallies and 175 teach-ins have been organized in large part to protest the Republican-led efforts in Wisconsin and Ohio to curb collective bargaining for public employees. In some ways, the day of rallies aim to build on the union protests in those two states and to warn labor’s adversaries in state capitals and Washington that unions remain a force to contend with in politics and that unions have many supporters. Organizers of the rallies also said they wanted to draw attention to federal and state budget cuts that they said were hurting the most vulnerable Americans. Though they don’t want you to know about it, the billionaire Koch brothers are bankrolling a massive campaign to roll back progressive achievements, and today, labor, civil rights, and climate activists turned out at dozens of rallies across the country to demonstrate against the Koch’s secretive influence in American politics and to stand up for labor and civil rights. Check out our new interactive union battle timeline. Religious Right activists have frequently found themselves at odds with the prominent health organization the American Cancer Society, attacking the group over its support for stem-cell research, the approval of an HPV vaccine, and for an anti-smoking program by an Iowa Planned Parenthood clinic. 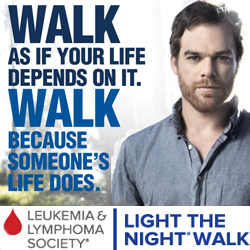 Josh Braham, the director of Right to Life Central California and the host of Life Report, has taken this antipathy to a new level, calling for a boycott of American Cancer Society activities because of the group’s support for stem cell research. Writing for the anti-choice website LifeNews, Brahm calls for a boycott of the Relay for Life and claims that supporting the group is no different than aiding Nazi scientists. There is no greater example of the “Right To Life” moral bankruptcy than their stem cell fetish. They would rather see living, breathing, sentient human beings die than kill a few cells in a petrie dish. You tell me who’s the Nazi? There is no shortage of popular literature from various fields, including foreign affairs and business, about smart people making dumb mistakes. David Halberstam’s “The Best and the Brightest” remains a primer on botched government decision-making by experts; namely, how key aides to Presidents John Kennedy and Lyndon Johnson, most of them products of an American academic and social elite, got us into the mess of the Vietnam War. And, for sure, there is previous academic literature suggesting that experts can fall prey to false memories, and thus make false comparisons and inferences, precisely because of their greater-than-average memories of specific subjects. Mehta and his business school colleagues expand on that literature via four related studies, each concluding that consumer products experts mistakenly, if inadvertently, tend to suggest apples-to-apples comparisons when such may simply not exist. Next National Days of Action: Tax Weekend April 15-18th! On the weekend of tax day, April 15th-18th, let’s all take a stand for folks like Earl in our own communities. And let’s send our leaders a message- corporate tax cheats must pay up before veterans, the elderly, the unemployed, and the most vulnerable members of society are asked to sacrifice any more than we already have. When it comes to paying their fair share of taxes, FedEx simply does not deliver. When FedEx made $1.9 billion in profits, they managed to pay less than .0005% of it in taxes by using 21 tax havens. FedEx also spent 42 times (4200%) more on lobbying Congress than they did in taxes. When FedEx does not deliver on its fair share of taxes, we are forced to cut $373 million in teacher training programs (Americorp). Good, I like her…she’s got chutzpah and is a great speaker, she will motivate alot of Dems. I’m thrilled BDM. And you’re right--she is a firebrand! I got ya covered, bito--as you cover me! Man, what a depressing issue today. especially on the education front. When did teachers become public enemy number one of the rich and eccentric? Here’s the biggest thing the MSM and the GOP does not want you to know. Even RomneyCare which is far inferior to the ACA works great especially for working families. The poll by Market Decisions, a research and consulting group, found that 84 percent of residents are satisfied with the Massachusetts plan, which requires most adults to have health insurance. A similar requirement in President Barack Obama’s health plan has been challenged by a group of states in the courts and the case is working its way through appeals. The poll of 696 people found that 31 percent of individuals had had a healthcare provider reject their insurance plan and 23 percent were told a doctor was not taking any new patients. The state health plan, launched under former Governor Mitt Romney, was given high marks for the range of services and the quality of care offered, according to the poll. The program, Commonwealth Care, is targeted at low-income individuals earning up to $32,676 a year; families of four can qualify with earnings of up to $66,168 a year. Premiums ranged from $10 to $151 a month, and only 17 percent of those surveyed said they had problems paying their medical bills. Yes for the short term the fight for collective bargaining rights is the best strategy to bring Dems back to their real base but down the road when the majority of working Americans finally realizes how much the ACA will benefit them the real base could be back for good. Of course that’s why the MSM and GOP have are all in trying to stop it. This is mostly a program for the elderly and the disabled. It’s the main way we finance long-term care in this country. If you don’t directly benefit from it, you very likely have a parent or grandparent who does and whose financial needs will simply tend to fall on you if the program is cut. Meanwhile, in terms of the “welfare” aspect of Medicaid by far the largest set of poor people it covers are poor children. Is Ryan’s view that these kids should have worked harder to have rich parents? Let’s reiterate a point here—a quarter of Medicaid spending goes for long-term care for the elderly. If Medicaid is not there to pick up those costs, it falls to families. There’s already an explicit tax hike for the middle class in Ryan’s plan. Taking Medicaid funding from families with disabled children and parents and grandparents in nursing homes compounds that. Plenty of middle-class families only remain middle class because they’re spared crippling medical and long-term care costs. A decade or two of the Ryan plan, and there will be no more middle class in America. What till I tell my “Teabagger” sister-in-law and brother-in-law that their older sister, who is in a nursing home, blind, in a wheelchair, hooked to a dialysis machine three times a week because of the debilitating effects of Type I Diabetes will be moving in with them….or should we just pull the plug on her useless life, according to Paul Ryan? You, Paul Ryan and the Tea Party wants these cuts so bad, you pull the plug on her and then tell her that she has ten days of pure misery until she dies…. BDM, since they think only in terms of $$$, they might want to remind themselves that these kinds of cuts will come back to haunt even the very wealthy. There’s a local company (privately owned) that owns/operates 300 nursing homes across the country. What is their primary source of funding? Medicare and Medicaid. The CEO makes $28 million/year. Bye-bye, big bucks, with the Ryan plan. The same scenario plays out for pharmaceutical and equipment suppliers. And Ryan is talking about killing the goose that is laying all those golden eggs for his cronies? It’s awful that those are the grounds on which they need to be appealed to. But they don’t think in terms of human suffering. Unless it’s their own. kes, your right, hits to the Corporate pocketbook are the only way they will listen to how bad this idea is, they don’t even look at the human suffering aspect…geessshhh! How F’ing sad is that? @ Kesmarn…you bring up a great point, about long term consequences and how many of these government programs actually help the private sector survive. I brought this is up before with a list of the top 100 government contractors and the value of those contracts to the private sector. It’s mind boggling. Take away the government spending and they will see further retraction in the overall economy. Economics is a social science and usually requires some knowledge of numbers and the aggregate effect of economic policy on other sectors. ONE would think that someone who supposedly studied economics…would understand the cumulative effect on cutting spending to those entities that provide such services. People like RYAN who don’t understand math or science shouldn’t be fooling with things they don’t truly understand. First of all, I would like to talk about this Paul Ryan for a second. WHAT credentials does this man have in economics, budgeting and finance? I’ll be glad to supply that information….NONE. Just like most of the Right wing, he is devoid of any REAL credentials in any of the topics that he opines so loudly and boisterously about! Both from an academic perspective and from a business/work history perspective the man has limited credentials. He graduated with a BA (in what I am having a difficult time determining, as all sources are saying his BA is in economics and political science) from Miami University in Oxford, THAT’S VERY odd..because economics and political science majors usually result in a Bachelors of SCIENCE…a BS…not a BA. SO question…why is no one questioning HIS academic credentials????? HE WAS a recipient of Social Security benefits as a kid…because his father died when he was 16. SO the man, basically received HELP from the government, that he chastises for helping others and from programs he wishes to undermine. AGAIN…why isn’t more made of this fact???? In addition, his work experience is very limited. For goodness sake he ran for public office at age 28. REALLY, how much in depth work experience can one amass in such a short time. I was 28 once, too, and like most of us, when I look back on that time, I realize I didn’t know nearly as much as I thought I did. MOST people, realize when they get older, that when they were young…they were not all that. It looks like the guy was very political very early on. I wonder who recruited him. Oxford is in southern Ohio -- copperhesd country ( copperheads were soft on preserving the union during the Civil War) -- I exoect that Ohio U is a very conservative school and the Econ and poly sci Depts were very conservative. I expect that he got all the conventional wisdom stuff. The CBO scoring on his previous “budget” proposal was “less than kind,” I wonder how his new will do? If you don’t have enough science or math credits in your major, a lot of colleges will let you shift your degree from BS to BA. The fact that he can’t ‘do numbers,’ and that the numbers don’t add up make Mr. Ryan the ideal guy for the cut job. As for me, I’m personally awarding Mr. Ryan a “BS” degree — Can’t think of a guy who deserves “BS” after his name more than Paul Ryan. Heard from the House Floor: Facts… ‘We don’ need no stinkin’ facts… Where’s my tea? Somebody get me my tea. BOB….that’s disturbing, too…now that I think about it…so he couldn’t cut muster in the sciences and math department and thus shifted to the BA degree?? THAT IS concerning too! Agreed that he should have the BS designation next to his name…very appropriate for HIM….although not in the scientific/academic connotation of the abbreviation! I was not aware that some colleges will still allow the major to remain if switching from a BS to a BA. Mine doesn’t. WOW-- Thanks, Abby! I’m going to Tweet that. I have been following the Medicare/Medicaid links all morning on Twitter--it’s aflame! Cher…it’s mind boggling how none of this is known to the average voter. Like anything….facts can be spinned to showcase one thing over another. HOWEVER, hard to spin the SSI he received when his father passed and how it helped him afford COLLEGE. Also, hard to spin the BA, that is listed on all his official credentials, as being an economics degree. Also, did you note that his first job was as a “marketing consultant” for his grandfather’s construction firm? BDM…yep. I caught that too…and again…dubious at best. I too worked for family….and again my resume makes it sound much better than what it was…I didn’t have any real responsibility! I was a kid! I’m surprised he isn’t claiming that he studied at Oxford! (Technically true. Oxford, Ohio.) Like Christine O’Donnell. kes, you know some woo woo fanatic fan of his is going to post that somewhere on the internet and then it will become a fact that will show up on Fox & Friends….or Morning Joe. @Kesmarn…I was thinking the same thing!!! The state of politics in the USA is such that the GOP may succeed in getting most of these cuts. The conservative political faction ( who used to vote Democratic, but now vote GOP) that controls the South; the northern union members who forgot how they got that good pay; both constitute a large portion of those vote GOP and ought to vote Democrat. Emotions like fear and anger -- the stock in trade of the GOP -- usually win out over fact and logic. Hedges is correct. We do need a mass movement. A mass movement to do exactly as he suggests. That is how you counter the fear and anger being made use of by the GOP. Yup. Sad, but true. Well said! Agrippa, I am pretty upset about the proposed budget cuts--especially since the polling I’ve seen shows that most people--a solid majority, don’t really want them. They SAY they are worried about the deficit but they don’t want any programs cut when asked specifically. So why are the Dems even bargaining? Rhetorical, but I think the Dems should have been MUCH more vocal during this process to paint the Reeps even further in the corner. That’s one of the most frustrating things about the Dems in COngress--they seem ot have no ideology at all. What Hedges wrote was wonderful and I am 200% behind that. Last year, I wrote a post about apathy and demoralization. In my research I found that the ONLY remedy is to become active for change. It’s our salvation personally and as a nation. People do need to get fired up; as I said, that is the only counter to the fear and anger the GOP is making use of. The Democrats in Congress are very weak; they have been for years. And, it is Congress that writes laws. The root cause is the inability to get organized and build up from the precinct and district level. That is how you get good people in Congress. The Dems in Congress may, themselves, need to be replaced by more talented, energetic and committed people. It is as if many of them are “burned out”. I do know that a progressive/liberal majority is needed to pass progressive/liberal legislation. If those laws are passed, Obama will sign them. No agrippa, they are paralyzed, because of the need for big money in campaigns in order to compete, they fear saying anything that would offend their corporate donors. On the other side is us, they fear losing “us”…so they say nothing…thus the silence. BDM…I tend to agree…the way campaigns are financed is the root cause of the problem. It stands to reason….can’t bite the hand that feeds you. Cher, you just outlined My pet peeve as well. Where are the Dems- period? Where are they in the House, the Senate, and yes, even the White House. At first I thought maybe they were waiting for the GOP to acquire enough rope to hang themselves- now I’m not so sure.. where is Pelosi- are there any Dems left in DC?? Jkk--I’m mystified. And pissed. I understand how the House and Senate work, but only a very few Dems are speaking out! Dem politicians after the 2010 elections were often heard lamenting about the low turn-out by Dems. If these pols keep burying their heads in the sand, likely we’ll see the same lament in 2012. The sad thing — polls confirm we have the winning arguments. Cher & jkk, are the majority of Dems not coming out against this or is that the MSM is to busy covering Paul Ryan and the GOP? I got a we-need-money letter yesterday from DNC Chairman Gov Tim Kaine. My first though was to write him back and tell him that I’d be happy to contribute when Dems start standing up and speaking out — not before. Maybe there’s a strategy in this ‘pile,’ but I’m certainly having trouble understanding it. I can’t figure out what I’m ‘smelling.’ Is it fear or the rot of accepted defeat? I believe it’s both, “accepted defeat” and “fear” at the same time. They have no idea how to message this…as usual. My patience with them is running very short right now. WTF? Aren’t they eventually going have to run for reelection? Nobody even knows who they are anymore..
Are they all in the wittness protection program?? ?